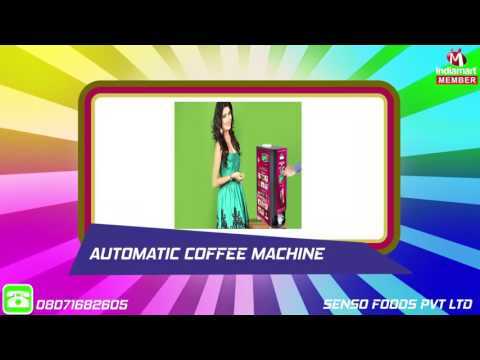 Established in the year 2009, we, Senso Foods Pvt Ltd, have gained huge appreciation from clients due to the excellent quality range of Tea & Coffee Vending Machines and Premixes manufactured, exported, wholesaled and trade by us. Our product line includes Coffee, Ginger, Elaichi & Masala Tea in many flavours like Ginger, Cardamom, Masala, Lemon etc. which acknowledged for its exceptional quality and extensive features. The premixes offered by us are made with natural & pure ingredients using advanced technologies and appreciated for tempting aroma, rich flavor and hygienic packaging. Our Vending Machinery is suitable for pantries, canteens, offices, hospitals, colleges & schools, restaurants and hotels.